Ekofarm is an organic farm of 30 ha located in a picturesque village by the Łojewek River, 3 km from the road to the Biebrza National Park and is surrounded by meadows and forests. Near the house there is a fish pond and a vegetable garden. The village area is rich in historic monuments and sites from the end of the 19th century (Russian fortifications) and First and Second World Wars. They grow vegetables, cereals and potatoes and have horses, cows, pigs and hens. Guests stay in 5 rooms (with 2 bathrooms) that can sleep up to 14 people: 2 rooms for 4 persons each and 3 double rooms. On the ground floor there is a dining room with a fireplace for approx. 20 people. The campsite is located between the river and the fish pond. There is a toilet and a campfire on the site and bathroom in the house. They serve hearty food and their specialties are Pierogi, Bigos and vegetarian meals. 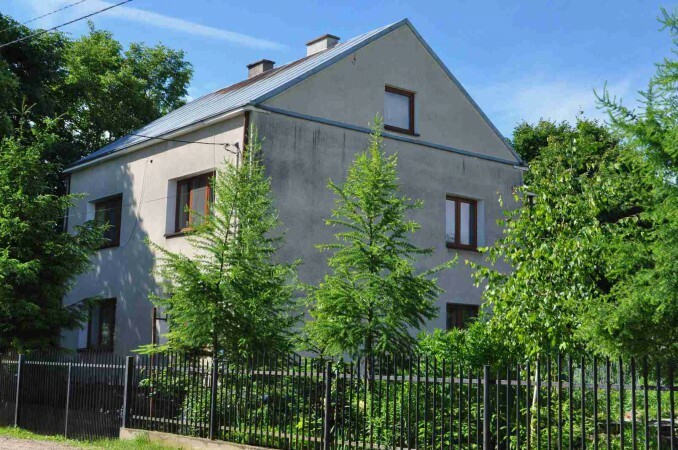 The village of Taraskowo is situated at the junction of cultures of Mazowsze, Podlasie and Kurpie, near the Biebrza and Narew National Parks, Łomża Landscape Park of the Narew Valley and Kurpie Green Wilderness, so it is a paradise for culture and nature lovers. Attractions of the area include Kurpie open air ethnographic museum in Nowogród and Nature Museum in Drozdowo, which is located in the 19th century manor of the Lutosławski Family which is also the seat of the Łomża Landscape Park of the Narew Valley and houses a brewery and a church and is complemented by a park.